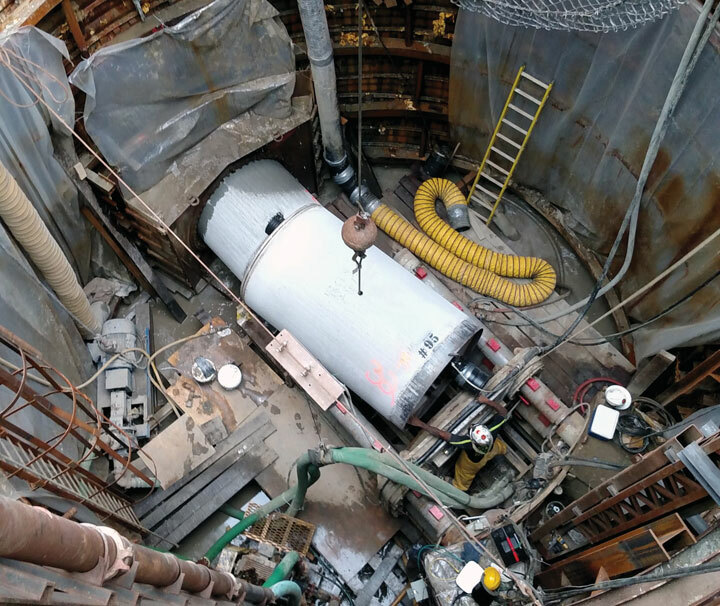 Recently, the Northeast Ohio Regional Sewer District in Cleveland has overseen the construction of several pioneering microtunneling projects. It wasn’t long ago that microtunnels were somewhat of a rarity in the Midwest. Historically more common along the East and West coasts, it may be argued that the Midwest has taken over as the leader in U.S. microtunneling as the result of several recent projects completed for the Northeast Ohio Regional Sewer District (NEORSD) in Cleveland. As part of Project Clean Lake, a multi-billion-dollar consent decree program to minimize sewer overflows, the district has undertaken increasingly complex drives in the last few years, including the first curved drive completed in the Midwest, and recently culminating with the longest curved drive completed in North America to date. The City of Cleveland and Northeast Ohio have long been linked with the environmental movement in the United States. In fact, the infamous Cuyahoga River fire in 1969, which was not a unique incident in Cleveland (or other cities in the United States), helped to prompt the landmark passage of the Clean Water Act in 1972. Since that time, Cleveland and the Northeast Ohio Regional Sewer District (NEORSD) have been actively engaged in sewer upgrades that have led to significant improvement in water quality in the area’s waterways. NEORSD’s largest undertaking – Project Clean Lake – is currently underway and involves several tunnel and underground construction projects. Project Clean Lake is a 25-year, $3 billion program that will reduce the total volume of raw sewage discharges from 4.5 billion gallons to 494 million gallons annually. When complete, more than 98 percent of wet weather flows will be captured and treated. Project Clean Lake involves several deep, large-diameter tunnels to capture and store excess water entering the district’s combined sewer during rain events, but also crucial to the overall operation of the system are smaller diameter connections and conveyance pipes that are constructed via open-cut or trenchless methods. 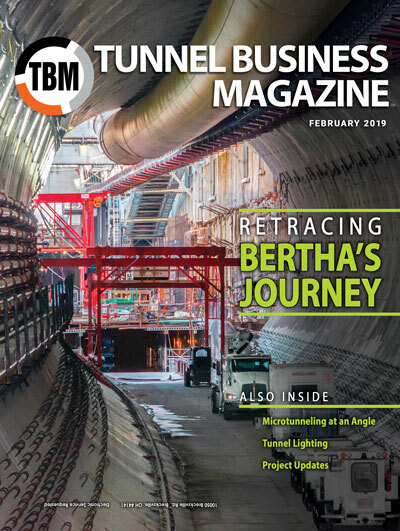 Recently, the district has overseen the construction of pioneering microtunneling projects that are helping to showcase the abilities of the method. The district’s first curved microtunnel was the Dugway West Interceptor Relief Sewer (DWIRS), awarded to a joint venture of Walsh Construction/Super Excavators in 2013. The microtunneling portion consisted of 7,000 lf of 72-in. reinforced concrete pipe (RCP) relief sewer, and 4,000 lf of 48-in. RCP sewer, a total of 17 drives, including nine launch shafts and 11 receiving shafts. At its own initiative, Walsh/Super Excavators JV submitted a value engineering change proposal (VECP) for design modifications to the DWIRS microtunnel portion of the project. The VECP introduced a 700-lf, 72-in. tunnel curve alignment, replacing three shorter straight drives and relocating one structure. Benefits from the design modifications included reduced construction, community impacts and maintenance costs by eliminating the construction of two shafts in a residential neighborhood. These changes also accelerated the overall project schedule. “The decision to use a curved drive was a matter of practicality in terms of schedule, neighborhood impact, cost and overall project goals, all of which were successfully met and delivered by implementing the curve design,” Super Excavators project manager Justin Kolster said. 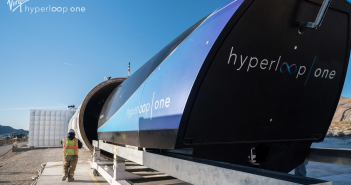 The approximately 700-ft long microtunnel run, completed in August 2015, started out with a 140-ft straight alignment, followed by a 340-ft long curve on a 915-ft radius, and finished with a straight 210-ft run. Hanson Pipe (now Forterra) of Columbus, Ohio, was the pipe supplier for the project while VMT provided laser guidance equipment and Akkerman supplied the MTBM. Super Excavators retained Scott Ludlow, S.J. Ludlow Consulting Engineers Inc., of Indianapolis, Indiana, to complete the engineering design necessary to obtain final approval of curved VECP. AECOM served as consultant for the owner. More recently, the district completed a project that not only sets a new mark for the longest curved drive completed in North America, but also one of the longest projects. On Dec. 5, 2017, Ward and Burke Construction Ltd. broke through on the first leg of the Kingsbury Run Culvert Repair Project, marking the completion of a 2,722-ft long drive with multiple curves. The longest overall drive completed in the United States to date is 3,000 ft, while the longest curved drive was 2,427 ft (completed by Ward and Burke in Canada in 2013). Value engineering resulted in the final microtunnel drive length, which had multiple horizontal curve components, including one curve radius of 787 ft. Crews used a Herrenknecht AVN 1500 for microtunneling. AECOM is the engineer. The MTBM was launched on Nov. 1 and recovered on Dec. 5, installing 60-in. wet-cast RCP jacking pipe from Forterra using molds brought from Germany. The project was originally specified as three separate drives. Elimination and relocation of shaft locations helped avoid excavations in ground that was potentially contaminated with PCBs. Crews used the Jackcontrol system to help distribute jacking loads and avoid point loading, as a well as VMT guidance system. “The key to successfully completing long-distance drives is ensuring properly managing friction loads,” said Colin Irwin, project manager for Ward and Burke. Ward and Burke equipped its MTBM with five interjacking stations in the event extra pushing force was needed; ultimately three IJSs were used. Ward and Burke used a slurry separation plant from ITE GmbH. The dual lubrication pumps provided bentonite to the head and to the annulus. The project includes rehabilitation and replacement of pump stations, construction of CSO storage tank and pumping facility, trenchless and open-cut construction of forcemains and gravity sewers and other associated work. The microtunneling portion of the project, completed by Super Excavators, is valued at $2.1 million. 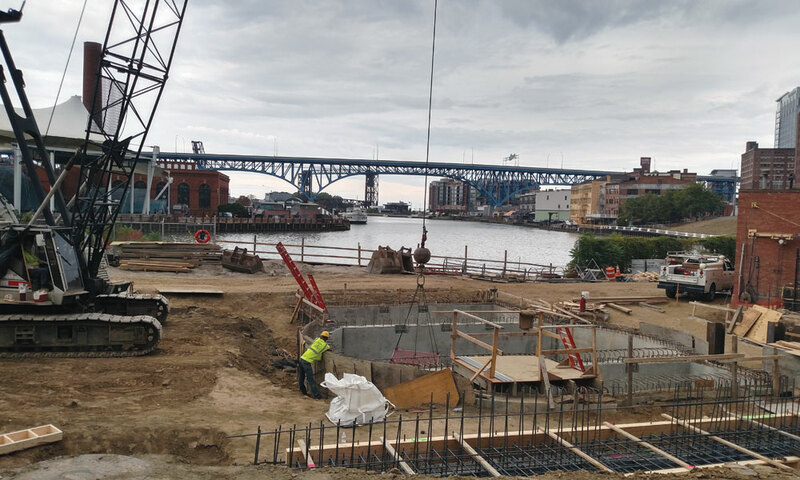 The purpose of this project is to increase the capacity of the sewer system, and reduce the amount of sewage discharging into the Cuyahoga River. 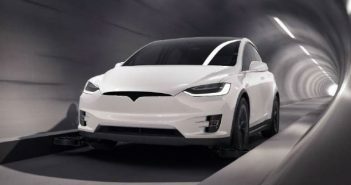 The microtunneling includes a single run of 760 lf of 48-in. RCP using an Akkerman SL60 (62.5-in. OD) through stiff silty clay soils. The run includes a contractor-designed curved alignment and is at a 5.5 percent slope. Independence Excavating is the prime contractor and MWH is the engineer. As part of Project Clean Lake, a multi-billion-dollar consent decree program to minimize sewer overflows, the district has undertaken increasingly complex microtunneling drives. The value-engineered curve allowed the drive to avoid the foundation of a historic building along the alignment. “The curve on the Superior Stones project was a risk mitigation measure to help ensure that the building was not damaged,” said Doug Gabriel, Deputy Director of Engineering and Construction-NEORSD. The curved drive was successfully completed in fall 2017 using Forterra dry-cast pipe. The Westerly Low Level Relief Sewer (WLLRS) Project includes regulator modifications, upsizing of dry weather outlet (DWO) sewers, and approximately 2,600 lf of new 72- in. diameter relief/storage sewer with relatively shallow depths of 8 to 25 ft.
NTH completed the design of this project in 2016. The contractor (Ward & Burke) holed out on Sept. 8, 2017. The 2,650-ft long tunnel was completed using a slurry microtunnel. High-strength RCP was used as the final liner in the tunnel and was strong enough to take the expected jacking forces even on an 1,850-ft long drive. The 1,850-ft drive had been the longest microtunnel drive ever for NEORSD until the completion of the first leg of the Kingsbury Run project. Despite all the work completed by NEORSD, more work remains. This spring, the district will advertise for the Doan Valley Relief and Consolidation Sewer. Designed by AECOM, the project included a curved drive in the design – a first for the district. Previously, the microtunnels were designed as a straight drive with value engineering proposals resulting in the incorporation of curved drives. Recent bids have allowed methods including microtunneling, jack-and-bore, open-cut or conventional tunneling, depending on the situation. “We go into our projects with our eyes wide open and don’t get stuck on one particular construction method,” Gabriel said.